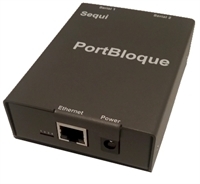 PortBloque E is a specialized firewall that protects serial Modbus devices from Internet attacks. It combines firewall operation and Modbus TCP/UDP deep packet inspection (DPI) to block everything that's unwanted or harmful. The simple web interface makes setup easy. Operators can control Modbus traffic by slave IDs and function codes, and block a command that repeats too soon. Additionally, operators can define a permissible range of slave registers and values to prevent malicious memory access. The integrated Modbus IP-serial converter offers the flexibility and convenience of Internet enabling serial devices. Packed with Modbus security features. Blocks function codes, registers, and values that you have not permitted to specific slave devices. Blocks a command that repeats too soon to protect slave devices. Blocks IP packets that are not expected (per origin, destination, protocol, and port). Ignores scans/probes from intruders to make the Modbus network virtually invisible to hackers. You can select the types of function codes that specific slaves can receive and define accessible read/write ranges for registers and values. 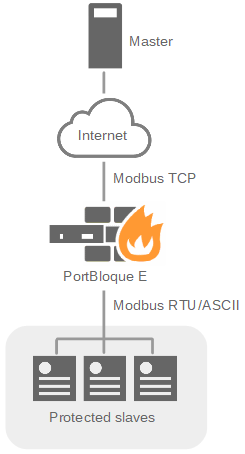 The simple web interface provides detailed control over Modbus traffic. Take a look at how easy it is. Enter the Modbus device IDs of your serial slaves. 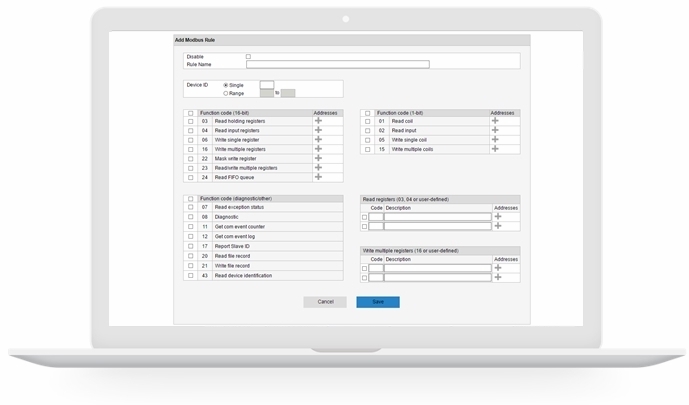 Select the Modbus function codes you want those devices to receive. You can also enter Modbus register and value ranges. And enter the amount of time to wait before a particular Modbus command can be repeated. You can also enter non-standard Modbus function codes that are in use by your plant. Examples of customer-entered numerical codes and names are shown below. Direct connect to Modbus slaves. The safe, fast, and secure way to pay online using any major credit card. You don't need a PayPal account. ► Can’t purchase right now? Simply use the Order Request form and we’ll send a PayPal invoice to your email. ► International Shipping: Please use the Order Request form. ► Shipping outside the 48 contiguous United States: Please use the Order Request form. ▼ Shipping within the 48 contiguous United States: Please select a quantity (up to 5) from the dropdown and click on the 'Buy Now' button. To order a quantity greater than 5, please use the Order Request form.